Today is National Honey Bee Day. These tiny creatures are vital to our ecosystem. However, due to things like pesticides and Colony Collapse Disorder, scientists estimate approximately 10 million beehives have been lost since 2006. That's why we all have to do our part, and sometimes it's as simple as planting flowers. So whether you have acres of land, or only a couple pots on a patio, these are the best flowers for bees. Sunflowers are like superfood for bees. Each flower is actually thousands of tiny flowers loaded with nectar and pollen. The vibrant yellow petals attract bees, who then cover themselves in pollen and continue the circle of plant life. When purchasing sunflowers, be mindful because there are now varieties for the allergic gardener, which contain no pollen. Sometimes you need to stop and smell the roses, but for bees it's not so simple. They need to stop and pollenate the roses. 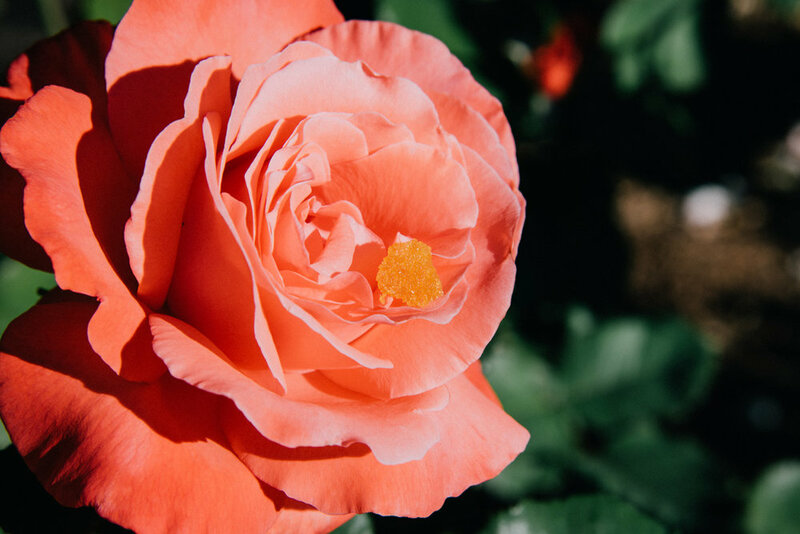 With so many rose varieties, it can be hard deciding which to plant. Bees love wild roses like Rosa rugosa and prickly roses like Rosa acicularis. Climbing roses like Rosa canina are less popular with bees, but still a great choice if given no other options. 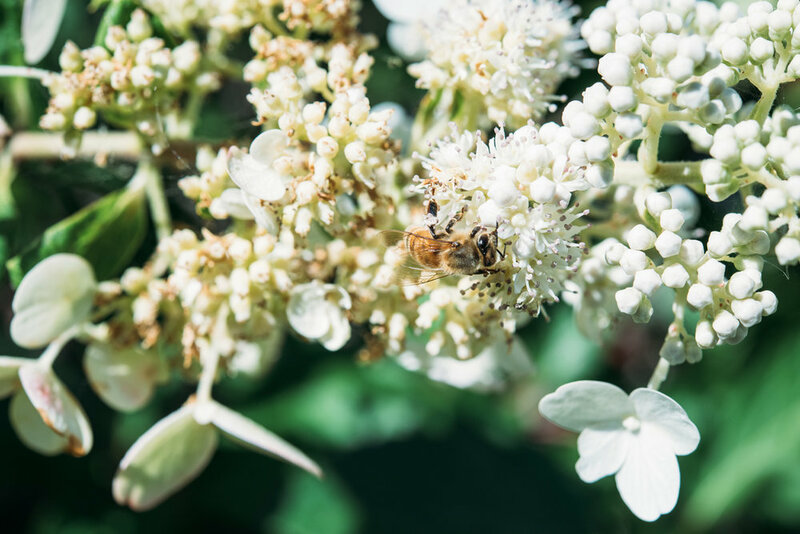 When we visited family last month, we couldn't believe the white climbing hydrangea (Hydrangea anomala petiolaris) teeming with bees! We smoked a joint and stood in them, watching these critters flutter from flower to flower. This type of hydrangea provides both nectar and pollen for bees and, and bloom from June to July. Be warned though, this plant loves to climd and has roots that stick harder than cement. What about those who love bees but don't have the space to grow flowers? You can still do your part! This simple sugar syrup recipe will help feed bees as they look for their next flower!